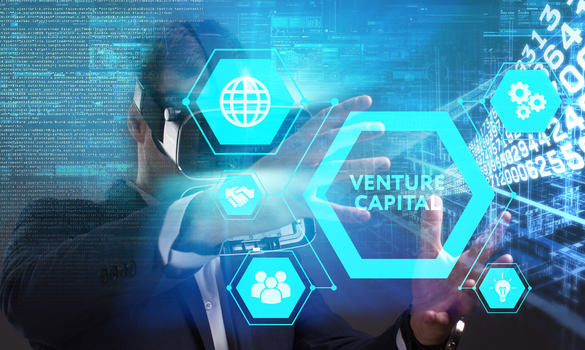 If you are an entrepreneur, you have probably wondered to yourself, “What do venture capitalists look for in a startup?” After all, venture capital investment is one of the top ways to fund startup growth. However, it is also one of the most competitive funding sources to vie for, especially for New York startups. You need to go into the process of finding venture capital funding with a real strategy to succeed. Find out what venture capitalists look for in startups when they are considering investing. First and foremost, venture capitalist investors look at a startup’s owners and founders. They consider the strengths of your founding team to determine whether or not they want to invest in your startup. You will be judged on your talent, passion and experience. You will also be judged on your ability to adapt and be flexible. In a competitive market, venture capitalists look for the ability to “pivot” and take advantage of other opportunities. When teams have strong communication and rapport, they can objectively move the company forward despite hardships. Those are certainly necessary components for startup success. That is why this is one of the things venture capitalists look for in startups they invest in. VC investors are also looking for startups with huge market potential, even more than they are looking for beautiful pitch decks. How expansive is your product’s target market? If you sell products that appeal to a broad array of different demographics and audiences, it is much more likely that you will find VC business funding. Venture capitalists need to invest in large markets to support the company’s success. A billion dollar market offers a much higher probability for success than a small niche market. Consider this before you start your search for a capital infusion for your startup. Broad market appeal is what venture capitalists look for in startups when they are considering investing. Venture capitalist investors want to see a startup with innovative products and services. Your offering should be something truly unique. Otherwise, they will see your product as another fad or “me too” product. To avoid this label, develop an innovative product or service that will disrupt the market. It should change the way people currently do or experience things. If you can differentiate your product from the competition, investors and customers would both give you a chance to succeed. Your startup has to be innovative in order to secure venture capital funding. Venture capitalists will also consider the overall revenue potential. Startups should have a promisingly profitable business model to secure venture capital investments. According to Former AngelList partner Lee Jacobs, “Every opportunity is unique and should be evaluated differently. It’s the job of the entrepreneur to present why the opportunity is interesting.” In order to make your startup pitch interesting, explain the “why” of the business. Also, show how the venture will turn a profit and offer returns. If your startup has great potential for high revenue, you are much more likely to find VC financing easily. It is one of the most important things that venture capitalists look for in startups. Lastly, VC firms want to look at your data and proof. It is important that startups have the management and industry knowledge necessary to back up any business decision. You need to be able to show them hard evidence that supports your investment proposal. If they decide to invest in your startup, they will hold you accountable for your claims and projections. When you set realistic projections, it is much easier to meet and exceed your goals. As a result, you and your investors can grow the startup into a large company. Venture capitalist investors definitely look for great management strategies backed by strong management strategy to fuel startup success. Of course, many entrepreneurs want to find venture capital funding. But, it can be hard to get VC funding when you are up against so much competition. That is why you need to know what venture capitalists look for in startups they are considering investing in. The things that VC investors care about are not surprising – a great team, an innovative product or service as well as a huge market. On top of that, your investment pitch should show a high revenue potential with realistic predictions to back up the plan. These are the primary factors of what venture capitalists look for in startups.